Paris. 23 March 2019. In early 2019, the DGA (French Procurement Agency) and the French Army (STAT) organised a campaign to test the MMP land combat missile in extreme cold conditions. 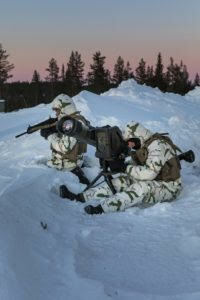 Performed on the Swedish state firing range at Vidsel, located near the Arctic Circle with temperatures between -15 °C and -30 °C, the cold weather campaign of the MMP was a complete success.